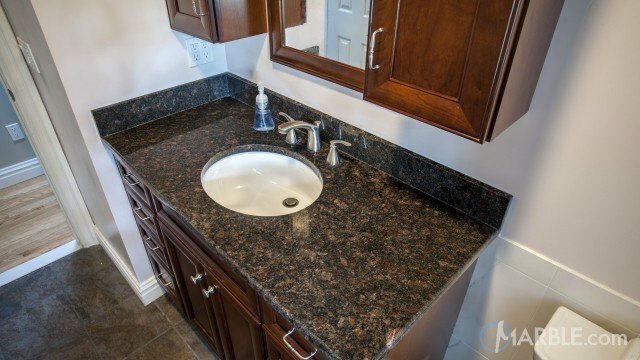 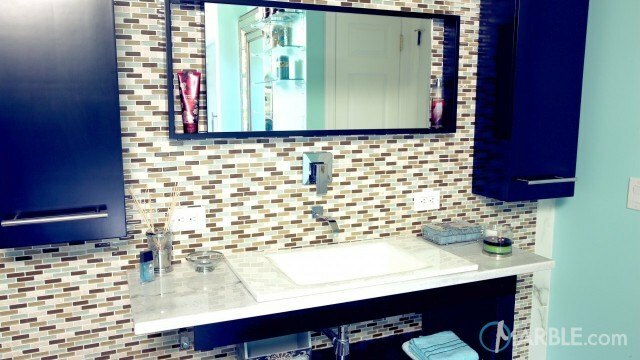 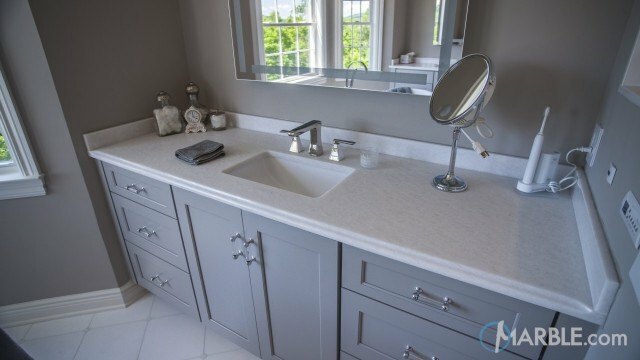 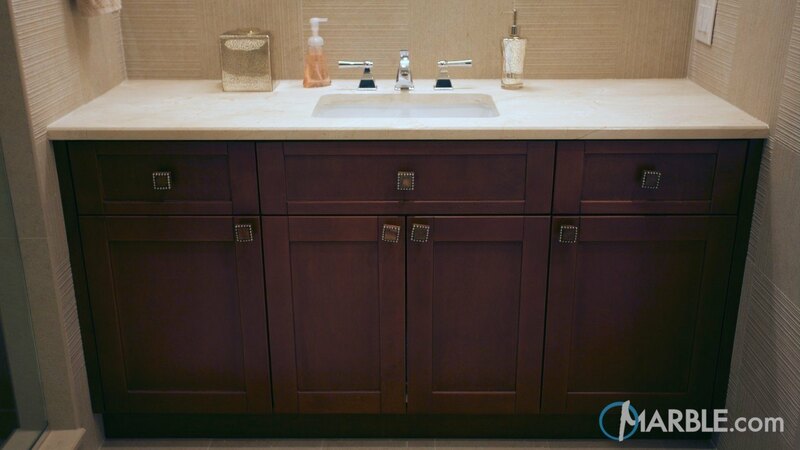 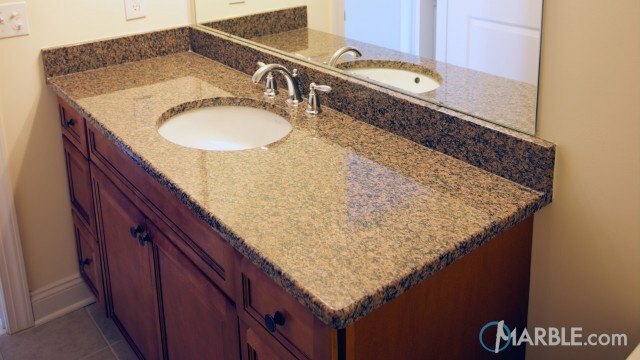 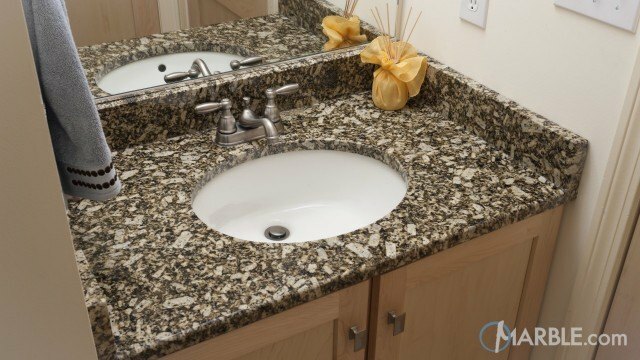 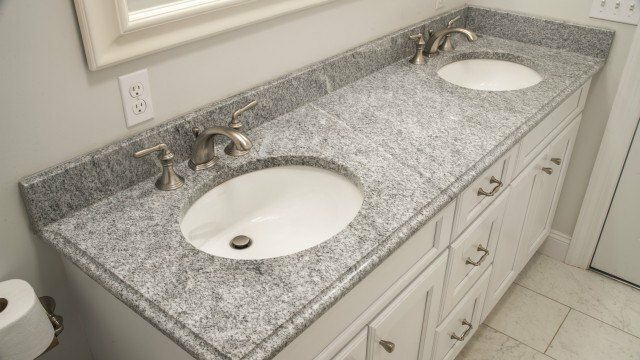 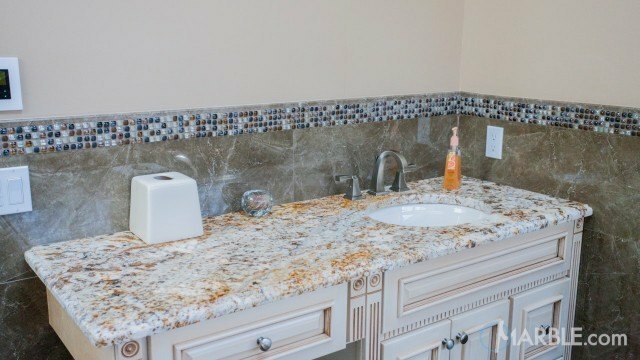 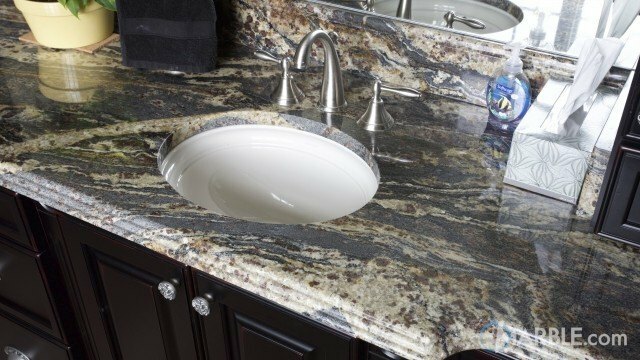 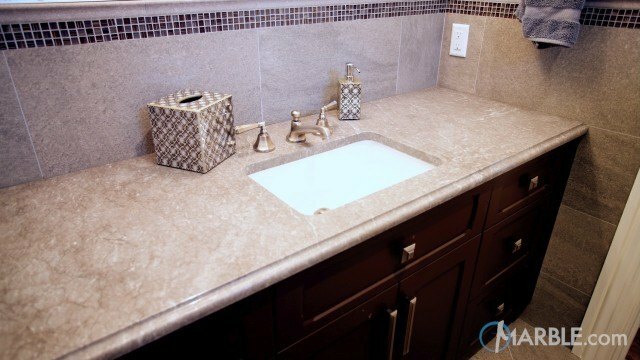 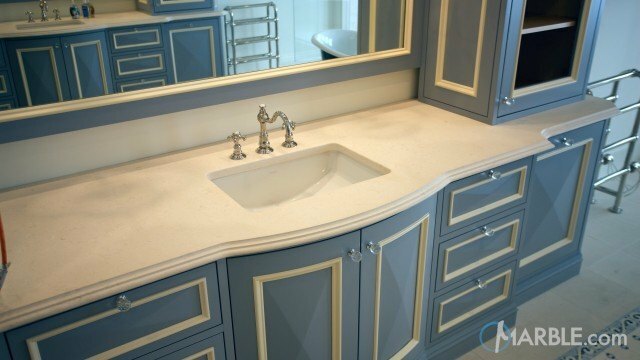 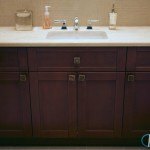 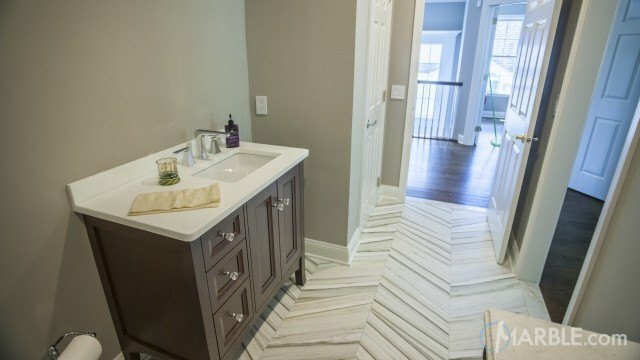 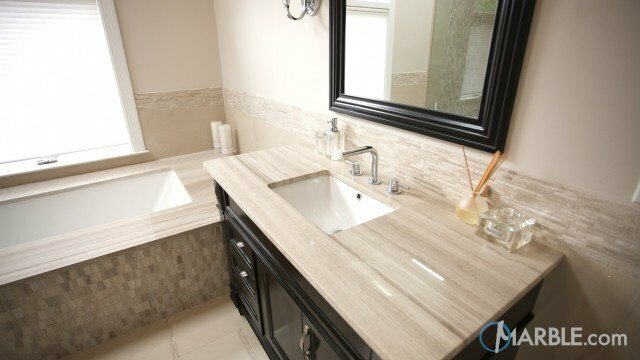 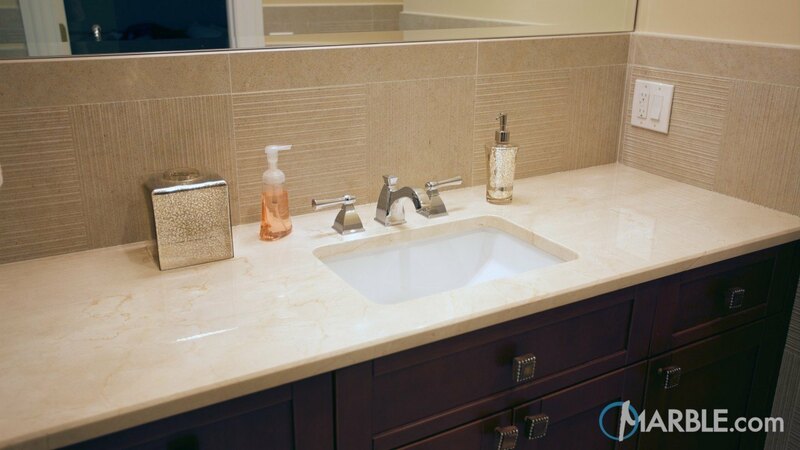 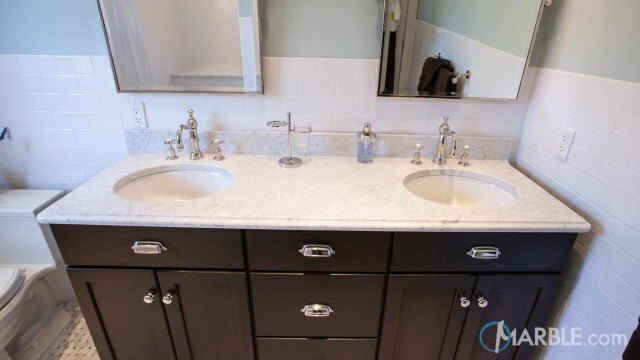 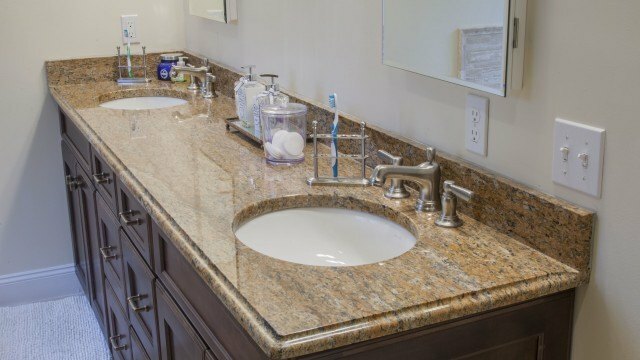 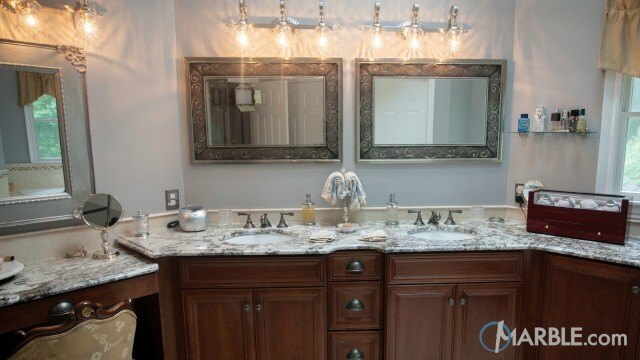 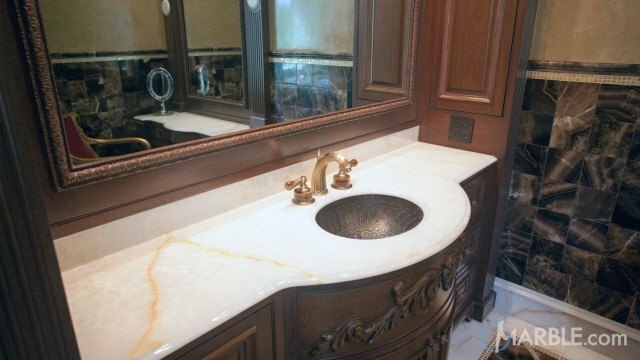 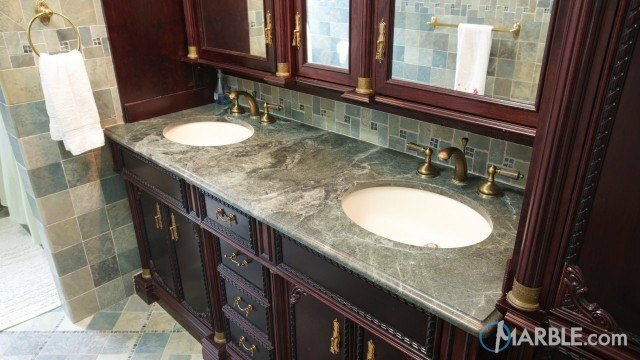 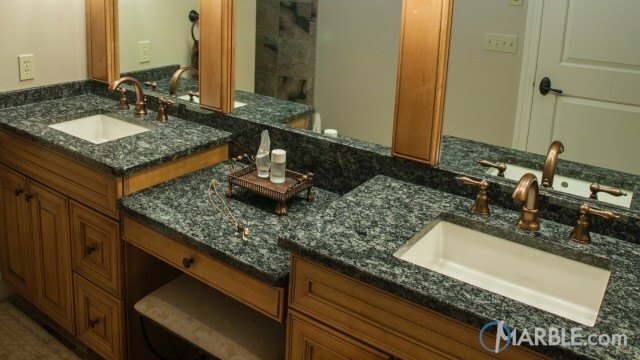 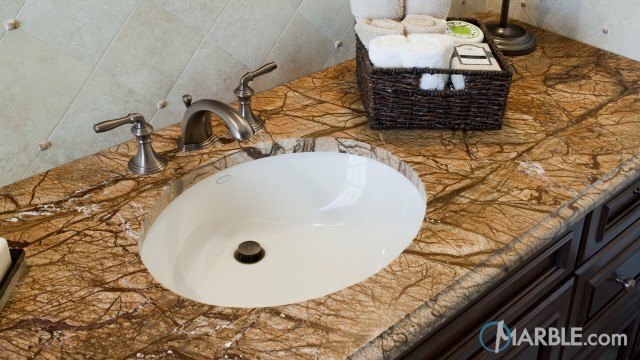 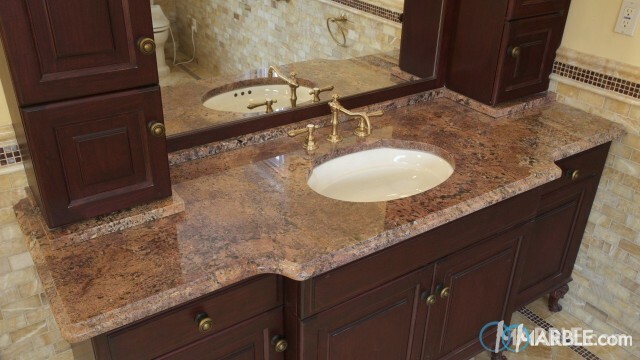 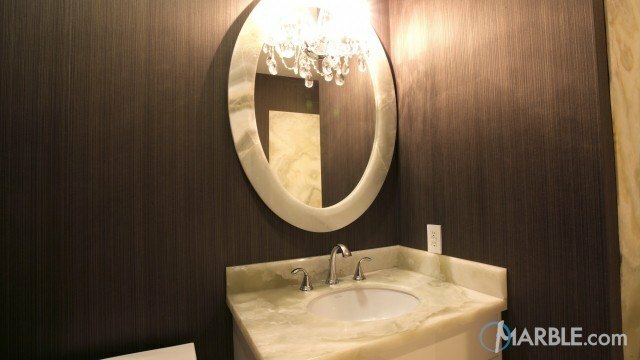 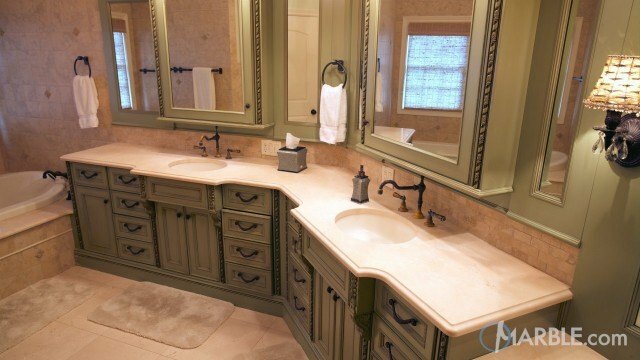 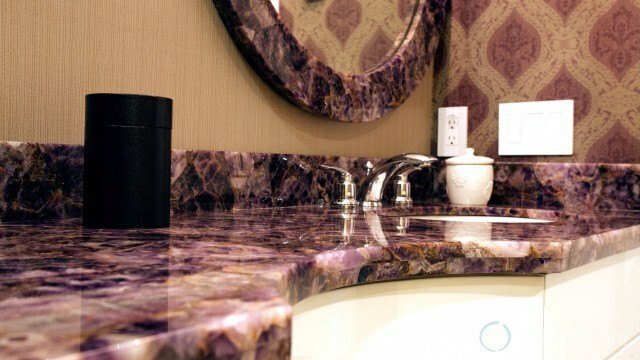 This gorgeous Crema Marfil marble counter top with a 1/4 Bevel Edge is coupled with dark cabinets in this classy bathroom. 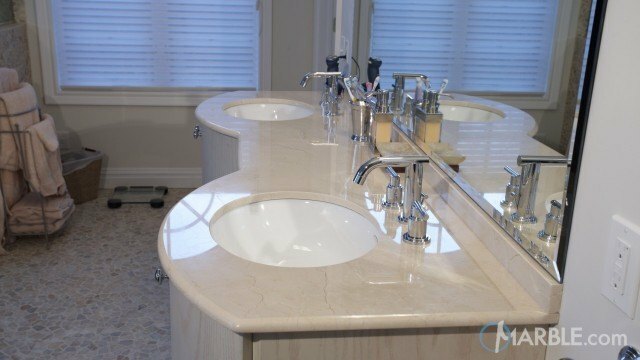 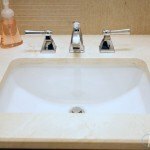 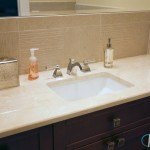 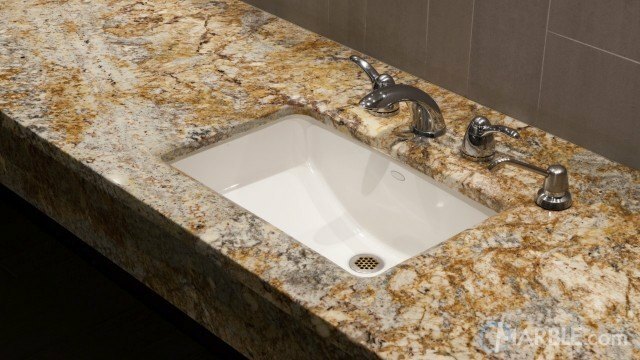 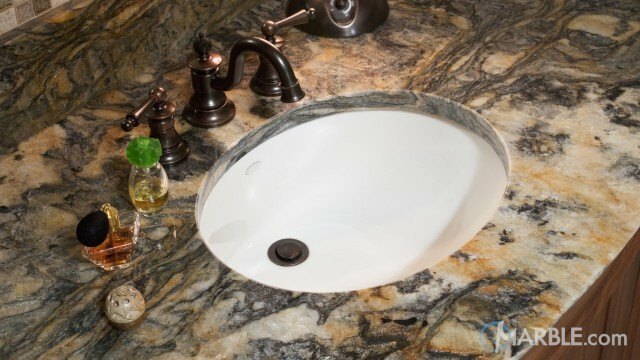 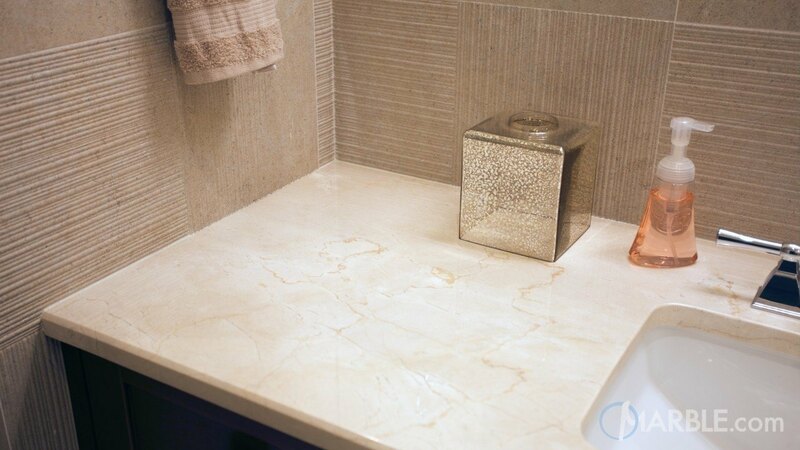 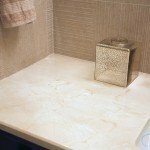 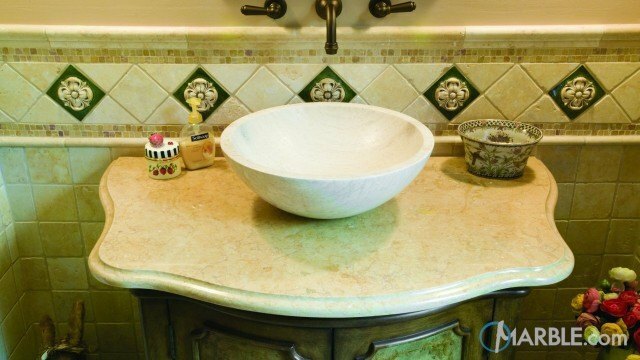 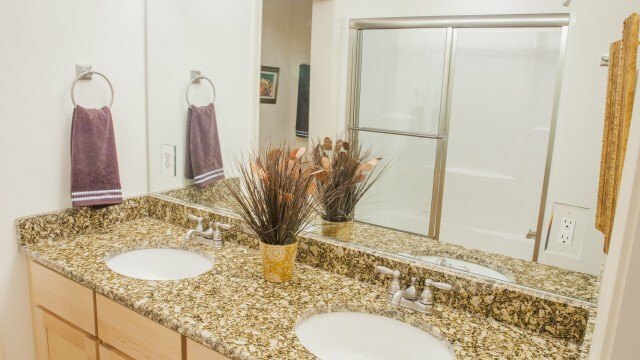 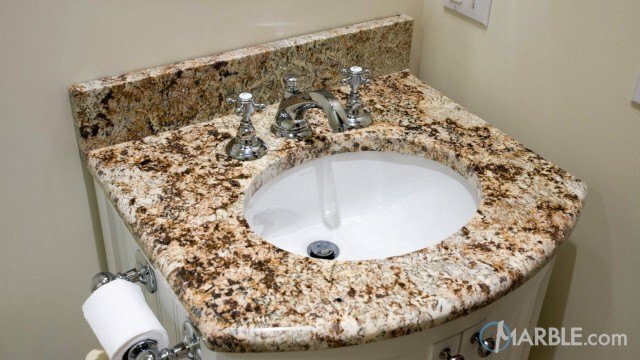 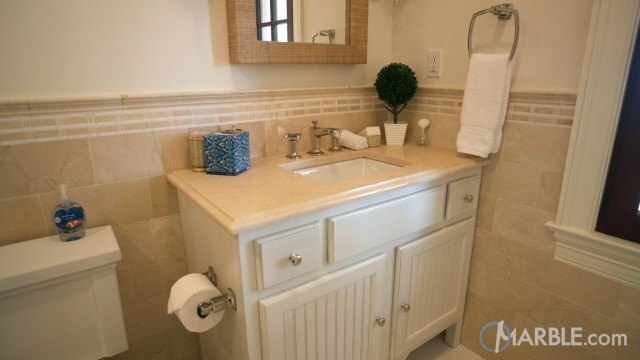 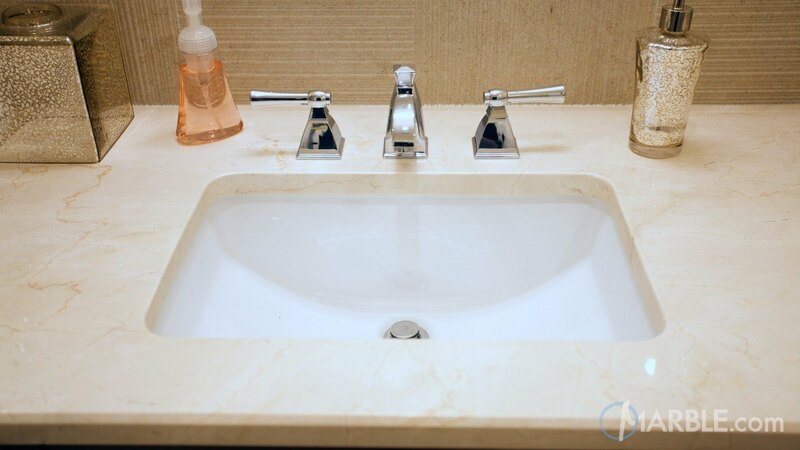 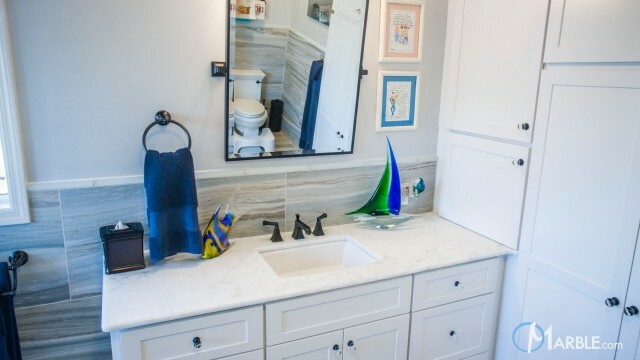 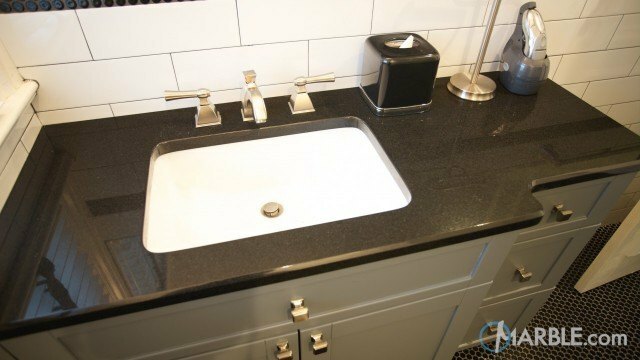 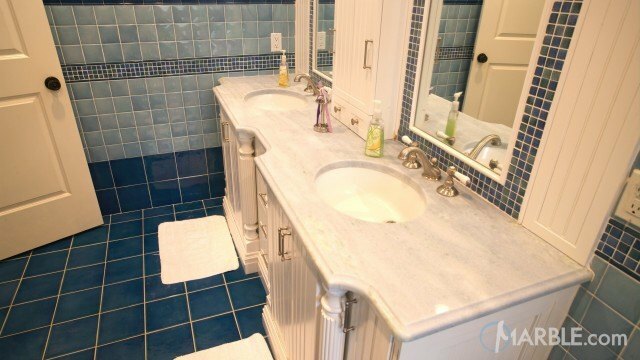 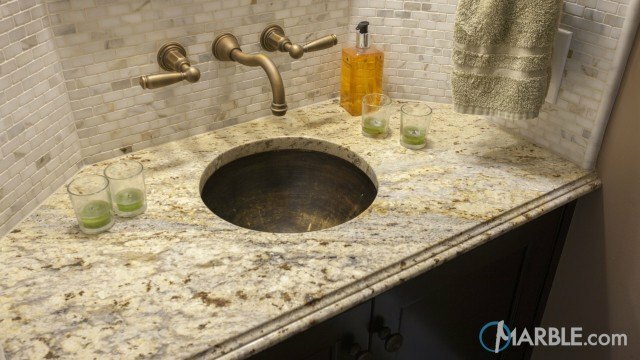 The sink is pure white and is surrounded by Crema Marfil marble. 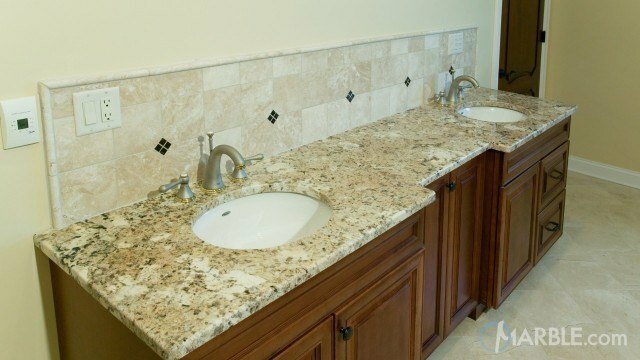 The seamless installation and design ensures that the bathroom will be easy to clean and maintain. 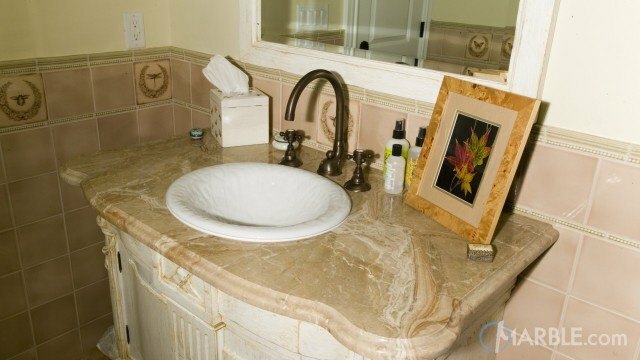 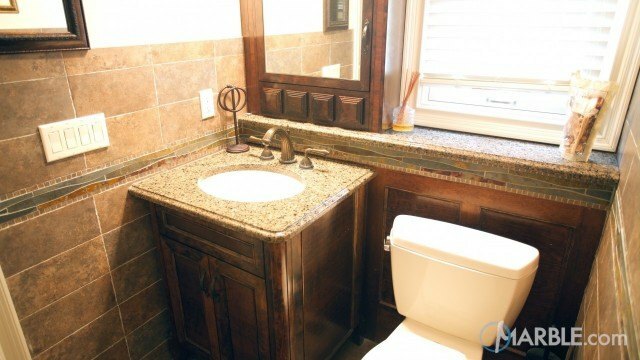 The marble top complements the shades of browns in the textured tile backdrop.